Diabetes is a disorder of your body's metabolism, in which your body is unable to appropriately regulate its blood glucose levels. Glucose, a simple sugar, comes from the carbohydrates you eat. Your body creates and stores glucose to use as energy. For glucose to enter cells and be transformed into energy, insulin (a hormone produced in the pancreas) must be present. If you have diabetes, your pancreas either produces little or no insulin, or your body cells dont respond to the insulin it produces. Whatever the cause, glucose isn't getting into your body's cells and glucose levels in your blood become elevated. Uncontrolled high blood sugar levels will damage many organs of your body. The South Texas Diabetic and Metabolic Institute at Edinburg Regional Medical Center is staffed with specialists uniquely qualified to manage all aspects of diabetes care. Physicians and staff stress education, prevention of complications and treatment for all aspects of this disease. To schedule an appointment, call 956-213-0400. Certain factors can increase the risk of developing diabetes. People who have close family members with diabetes and people who are overweight have greater chances of developing diabetes. Also, the risk of diabetes is increased in some ethnic groups including people who are African-American, Latino American or Native American. High blood pressure and hyperlipidemia (elevated cholesterol) can also increase the risk. Symptoms of diabetes include increased thirst and urination, blurred vision, fatigue and weight loss. In some individuals, elevated blood sugar may lead to recurrent infections such as urinary tract infection, vaginal yeast infection or skin infections. Many individuals with diabetes may go many years without symptoms. For that reason, its recommended that all adults age 45 and older should be tested for diabetes every three years. Treatment for diabetes is specific based on your age, health and tolerance to specific medications, among others factors. There are two types of diabetes. Daily injections of insulin are used for people with Type 1 diabetes to keep their blood sugar level within normal ranges. Treatment may also include managing a proper diet to maintain blood sugar levels and exercise. It may also require regular testing of hemoglobin A1c levels, which shows the average amount of sugar in the blood over the last three months. For people with Type 2 diabetes, losing weight, improving nutrition and exercising can control the disorder. In some cases, medication or insulin must also be used. If diabetes remains untreated, it can cause problems for the kidneys, legs, feet, eyes, heart, nerves and blood flow. If you have diabetes, you may be at risk for complications affecting your eyes, kidneys, nerves or circulatory system. 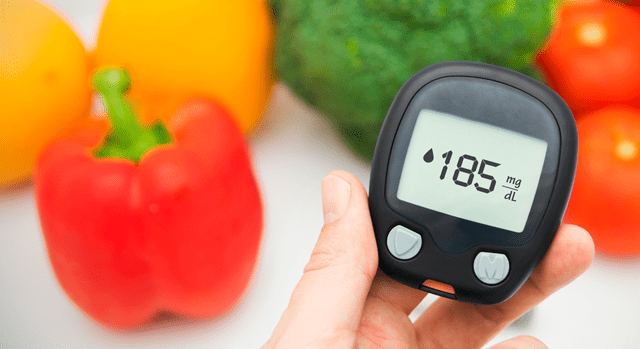 Managing your diabetes requires that you establish goals of therapy to include establishing a target blood sugar range and monitoring your glucose levels, weight management and dietary and lifestyle changes. Comprehensive treatment of diabetes requires a team approach involving you and your healthcare providers. Include, on your team, an endocrinologist, a diabetes educator, a nutritionist, an ophthalmologist and a podiatrist.